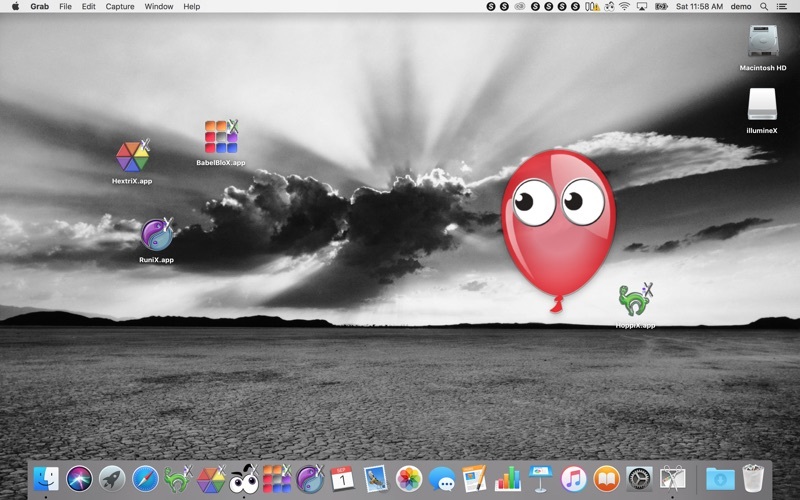 EyeSpy is a simple and fun googly-eyes toy for the Apple macOS system. Cartoon eyes watch your mouse cursor as it moves about the screen! EyeSpy includes the ability to Share with Friends! You can easily share cartoon characters via Messages, Twitter, Facebook, Mail, and any other social media sharing service supported by macOS. (This feature was hotly requested by our focus groups). • Barnyard Babies —several cute baby animals including Champ, the baby goat! • Citron Spies —a viper's set of sassy, tart, and juicy secret agents! 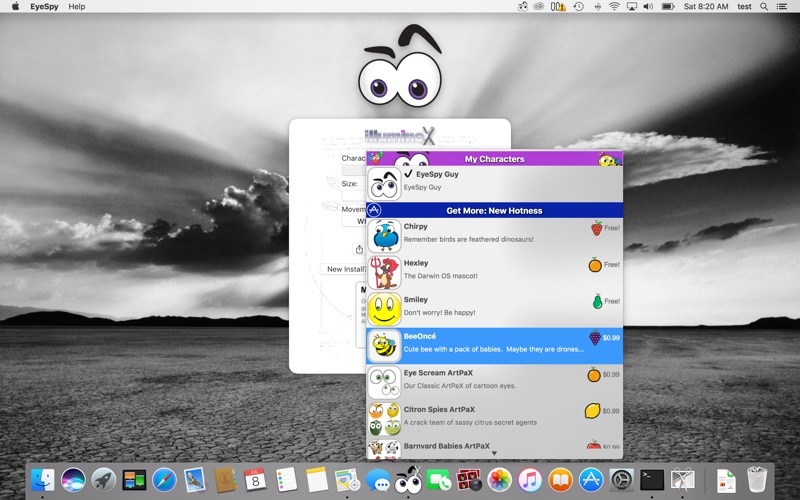 illumineX introduced EyeSpy, our version of this toy concept, at the turn of the century on the preview versions of Mac OS X. 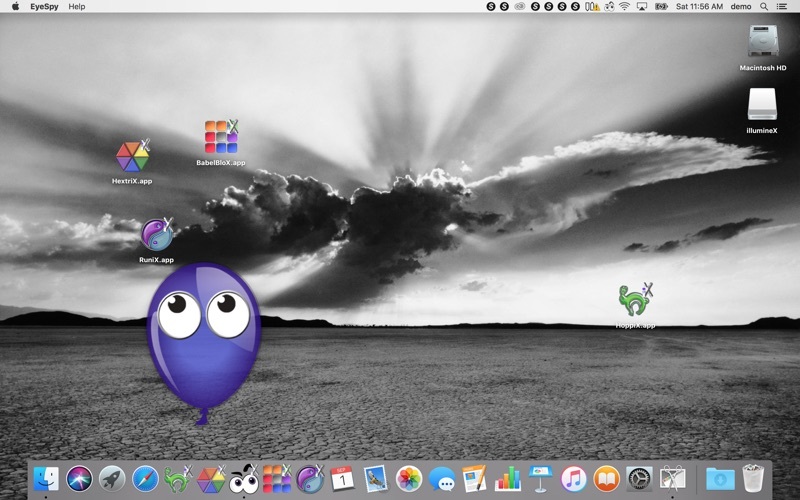 At a time when only 2 million people used Mac OS X, our free toys including EyeSpy and the illumineX Screen Saver PaX had over 200,000 downloads! 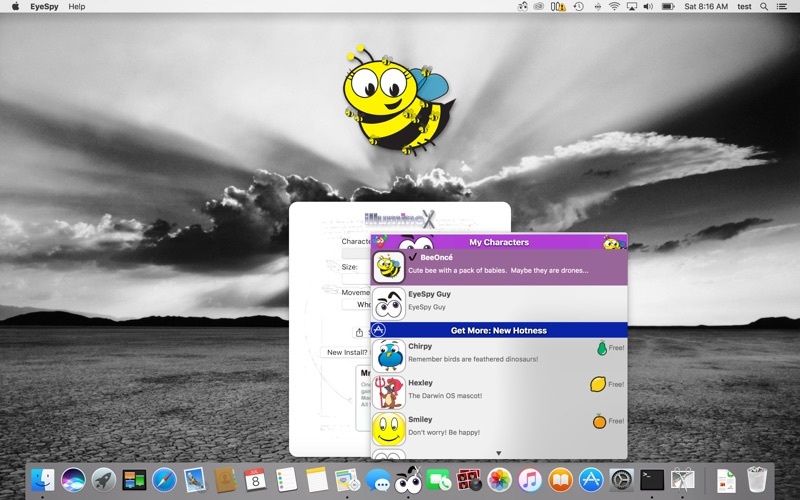 That's right, in the early days of Mac OS X, roughly 10% of everyone using Mac OS X had spent some time playing with EyeSpy. 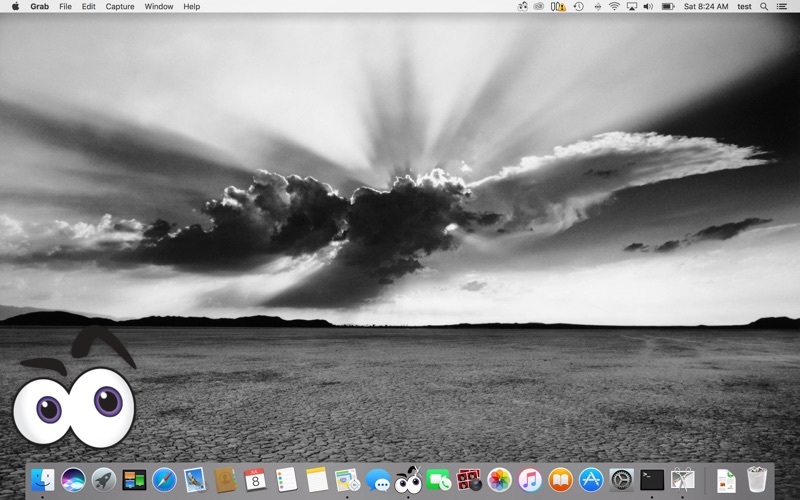 EyeSpy runs on iMac, Mac Pro, MacBook, MacBook Pro, MacBook Air, Mac Mini, and other Apple computers running macOS 10.12 (Sierra) and newer. EyeSpy is a fully modern all-new implementation for macOS Sierra built with Apple's SpriteKit and CoreAnimation libraries. • Stops showing the "on boarding" cartoon bubble if a new character has been selected. • Improves the robustness of the IAP character store. Other Apps by illumineX, inc.